When we heard news that there is no built in method of adding custom ringtones in WP7, we were shocked that such a crucial feature would be missing from the OS. It looks like there might be a way around this, according to the programming geniuses at XDA-Developers. Tucked away inside the OS, they found the undocumented capability to add a ringtone from an app, called ID_CAP_RINGTONE_ADD. 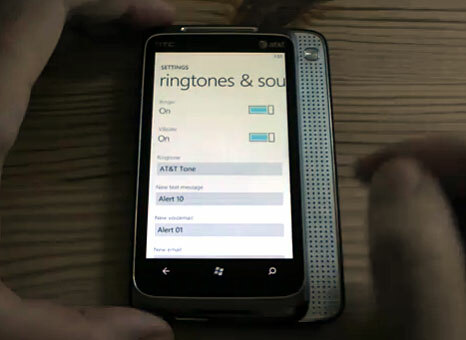 This means (hopefully) that apps will soon be available to add custom ringtones to WP7. On Start, tap the arrow to go to the App list, then tap Marketplace . To browse a variety of ringtones, type ringtones, then tap Enter . To look for a more particular type of ringtone, type something more specific, like Halloween ringtones.